The Royal Economic Society’s Annual Conference will be hosted by Queen’s University Belfast from 6-8 April 2020. Professor of Economics at Princeton University and co-director of Development of the American Economy Program at the National Bureau of Economic Research. Edwin W. Richert is Professor of Economics at Columbia University. She is a fellow of the Econometric Society, the International Association of Applied Econometrics, and a member of the National Bureau of Economic Research. Edward J. and Mollie Arnold Professor of Finance at the Haas School of Business and Professor of Economics at the Department of Economics at the University of California. IG Patel Professor of Economics and Government, Co-Director of the India Observatory, Chair of the Grantham Research Institute on Climate Change and the Environment at the London School of Economics. 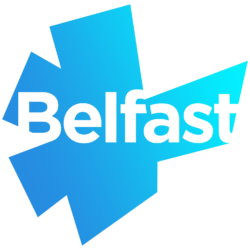 Our 2020 Annual Conference is being kindly supported by the Belfast and Northern Ireland Conference Support Scheme.